De Rienzo Photography, Orlando Photographer, Disney Weddings - Did You Know? Because we are the premiere wedding photography service in the area, we are often booked twelve, even eighteen months in advance! As soon as you have set a wedding date do not hesitate to call and book your wedding photography. We recommend that you book at least 6 months in advance to give our photographers proper time to familiarize themselves with your wedding photography location. 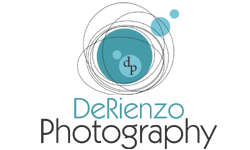 De Rienzo Photography will gladly recommend other wedding photographers from around the area in the case that we are fully booked on your wedding date. Okay, so you've scoured the wedding magazines and the Internet, asked for recommendations from friends and family, and met with a few possible photographers for your wedding. Now how do you decide which one to book? There are many considerations that will go into your final choice of a wedding photographer, not least of which will be simply your gut feeling. But there are some important factors brides and grooms should consider when making the decision. Unlike a caterer or florist, a wedding photographer is someone you need to feel personally comfortable with. He or she will be following you around on your wedding day and capturing your emotions. No matter how good his samples might be, if the photographer makes you uncomfortable, you'll look it in your photos. If he intimidates you so much that you're afraid to ask for the shots you want, well, you may not get them. Ideally your photographer will make you feel relaxed and at ease so that you begin to forget he is even there. If it's something you would like, he should be willing to meet with you as the event approaches to go over your plans for the day and any required shot lists or portrait lists. There are different styles of wedding photography, from traditional to photojournalistic to something more stylized and modern. A photographer who specializes in photojournalism can probably take a few formal posed portraits if you want them, but do look for someone who shoots most of their work in the style you prefer. I tell every couple I meet that it's most important that we click on a personal level. Choosing a wedding photographer for style alone is the absolute wrong thing to do for any couple. The photographer is the person who will literally be with you more than some family members & close friends on your wedding day. For that reason, I always suggest going with the substance of an easy-going personality and general likeability over style alone. Don't get me wrong, style is quite important, but if your photographer annoys you, the only style that's going to come out in the pictures is one leaning towards "bride in angst." Hopefully, your wedding will be a once-in-a lifetime event, and you want the memory of it to be captured right. There's no second chance with the photography. Many brides make the mistake of going the cheap route with there wedding pictures. There's no need to break the bank, but if you can find a way to stretch a little to get the photographer you really want, do it. You'll be glad you did during those times you want to wax nostalgic. It's the best chance I have to get to really know the couple before the wedding. I always start with getting together with them for coffee or a drink, then we go shoot for a couple of hours and if time permits, we get a quick bite afterwards. It's amazing what that 3-4 hours does for my relationship with the bride & groom. When I show up on the wedding day, it's like, "Hey, Joy. How have you been? It's so good to see you again!" Rather than an under-the-breathe whispher, "Oh no, the wedding photographer is here. I've been dreading taking these pictures all week." Almost every wedding website and advice guide on the market provides brides with a standard set of questions to ask a potential wedding photographer. While it's okay to have a few questions to guide your search, it's best to just be yourself when reaching out to a photographer and ask about what's important to you. I've had brides call me in the past, and before I could get a word in edgewise, she's rattled off 13 questions that I could tell she was reading straight from a guide. No bride or groom would ever hire me if no matter what they asked me, I had 13 standard answers for all brides & grooms. Conversely, pick a few pertinent questions to ask, and let the rest of the conversation be guided by a conversational tone that allows you to both check the wedding photographer's credentials, and also get to know a little more about their personality. While this list is by no means exhaustive, it should serve as a foundational starting point for any discerning couple wanting to book a wedding photographer who fits their budget (even if stretched a bit), matches their style, and most importantly offers enough substance to make it through your wedding day together.